Warriors assistant coach Mfuneko Ngam says his team are looking to make a positive start to the new year as they host the Titans at Buffalo Park in Round Seven of the 4-Day Franchise Series. Ngam says that mental preparations have been key for the Warriors after they lost their last game before the holidays. They went down to log leaders the Cape Cobras in Port Elizabeth. His side are now out to avoid a repeat result against the reigning champions. ‘We played good cricket in that last game, so there’ve been many positives to build on,’ said Ngam. ‘We’re happy with where the guys are at the moment and we’re now looking forward to starting the new year well in East London. ‘For us, heading into the game it’s been more about mental preparations and getting the guys ready in terms of their mindset ahead of the game. ‘It’s always tough to prepare for any match around this time of year because of the holidays. In saying that, though, the guys are professional enough to know there is an important game coming up for us. 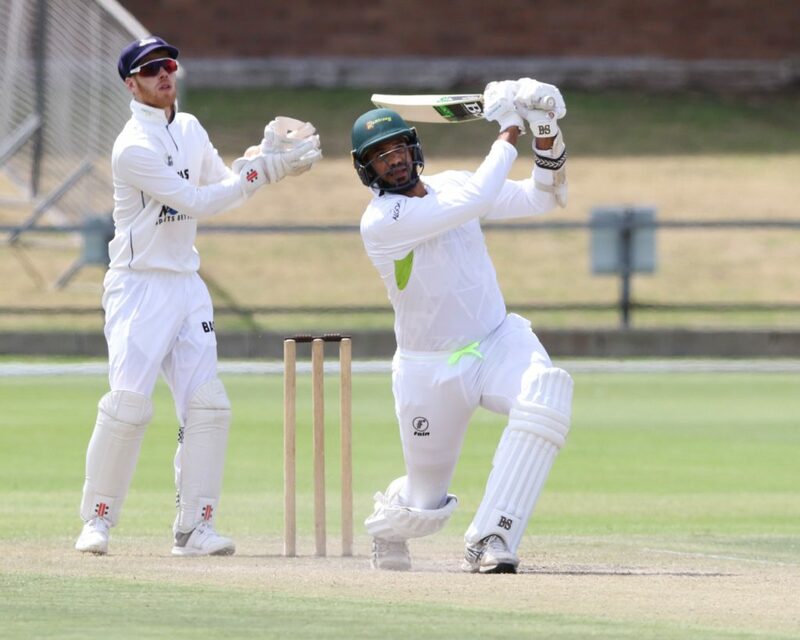 The result against the Cobras left the Warriors bottom of the table, just under 30 points below the second-placed Highveld Lions and around 60 off the Cobras. Ngam admits that it will be difficult for anyone to catch the leaders, but says their focus is on their own process, adding that they were not too worried about the Titans at this stage. ‘Anything is possible in this game, so you never know,’ he added. ‘It just takes someone to go on a good run to try and catch them. Hopefully, that team is us. But we’re going to take it one game at a time and see where it takes us. The Titans won their last match of 2018 – a 65-run triumph over the Knights – to secure themselves a first win of the season. It has left them third on the table and their assistant coach, Mandla Mashimbyi, feels that victory gave them something to build on heading into the New Year. Mashimbyi also refused to throw in the town in terms of the title. AB de Villiers hit a one-handed six on his way to 82 in the Royal Challengers Bangalore’s clash against the Kings XI Punjab on Wednesday. 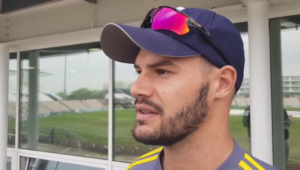 Aiden Markram admits that the trip to England has helped build his confidence in England conditions ahead of the World Cup.